Welcome to The Royal Sea Cliff Club, #108! 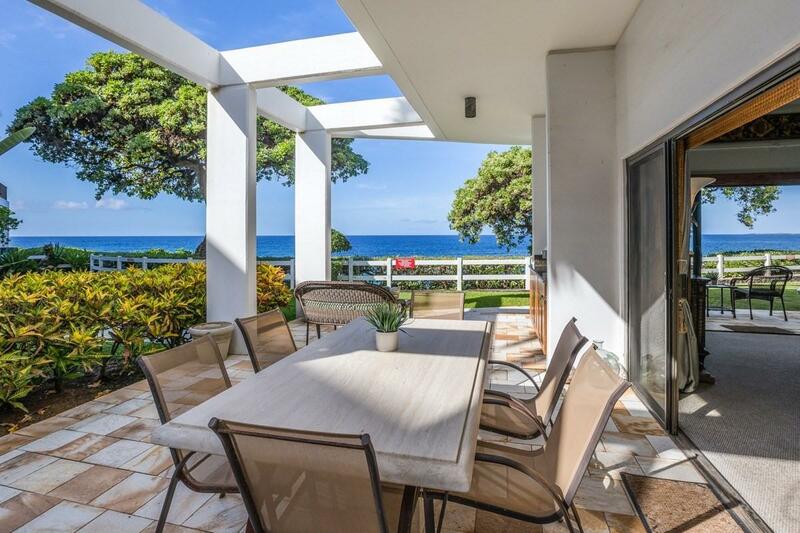 A highly sought after ocean front 3 bedroom 3 bathroom "home" at Royal Sea Cliff Club....this is the one and only 3 bedroom unit at Sea Cliff!! 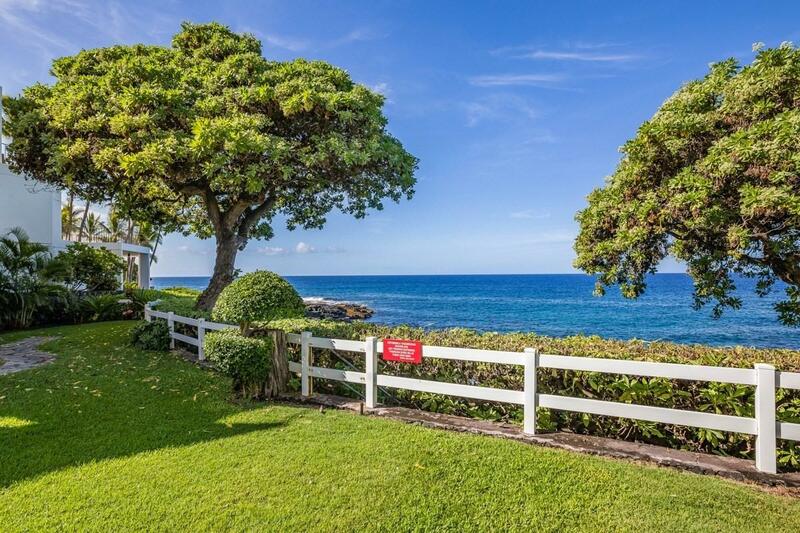 This chic, seaside retreat is perfectly designed and appointed to capture the essence of the Kona lifestyle. A flexible and open living space flows seamlessly to the ocean view, outdoor wet bar and relaxation area. The luxurious master bedroom suite features high ceilings giving that single family home feeling, an en suite bath and oversized tub. The additional two bedrooms are spacious and well suited for family and friends. Ocean Front 2,546 square feet of living space 3 bedroom, 3 full bathrooms Large kitchen, perfect for entertaining Central air conditioning Spacious lanai area including wet bar BBQs and pavilion available for entertaining Koi ponds and beautiful waterfalls, one right outside your front door Two swimming pools, spa Tennis Court Secure, gated-garage parking Two reserved parking spaces right next to the elevator/stairs steps from your door Concrete construction 24 hour security Pets allowed with association approval This unit is located close (but not too close) to the "quiet" pool! Monthly dues will include internet access and basic cable, water, sewer, rubbish pick up, along with all of the grounds and landscaping maintenance and exterior building insurance. The AC is included in maintenance fee while the electric is metered separately, providing lower monthly electric costs. 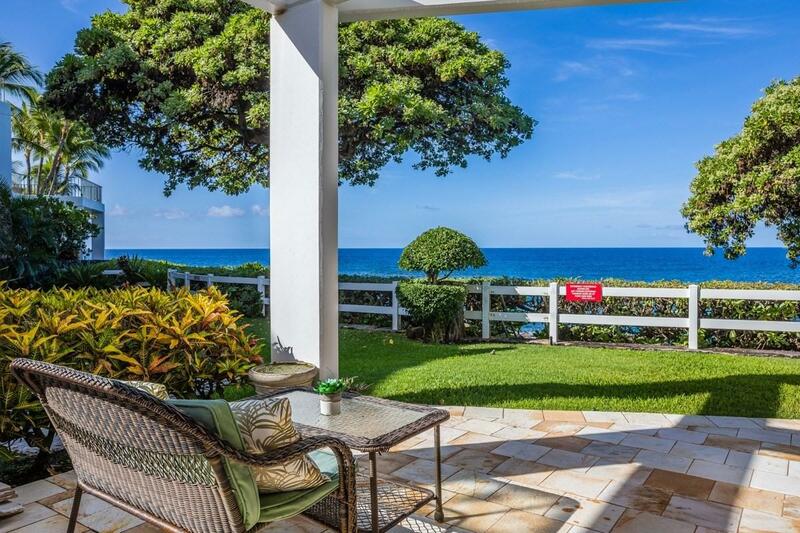 This property presents an outstanding opportunity for anyone looking for perfect ocean views, privacy and space! 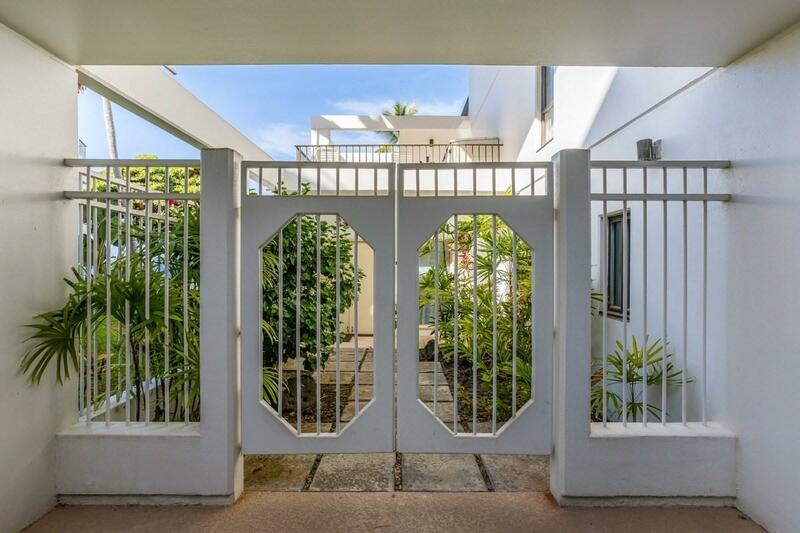 Walking into this condo you will feel as if you are entering a home with all the luxuries of living in a condo while affording you all the time to live the Hawaii experience! !